Many triatomine bugs carry the parasite Trypanosoma cruzi, which causes Chagas disease. For Lisa Leal’s dog, a bug bite became the kiss of death. A triatomine bug — commonly called a kissing bug — bit her 8-month-old dog.”I feel bad because she’s been given, literally, a death sentence,” said Leal, who lives in San Benito. Chagas disease may later cause intestinal and cardiac complications, including sudden death. Leal’s dog is already suffering heart problems. Veterinarian Noel Ramirez said there’s no sure way to avoid Chagas disease. In humans, Chagas disease can be diagnosed with a blood test. Treatment varies depending on the symptoms. If you suspect you’ve found a kissing bug, the CDC says don’t squash it. Instead, place it in a container and fill with rubbing alcohol or freeze in water and take to your health department. 1. Chagas disease, also known as American trypanosomiasis, is a serious infection caused by a parasitic microorganism, Trypanosoma cruzi, and is transmitted by kissing bugs. 2. Chagas disease is a leading cause of heart disease resulting in a debilitating and often fatal condition known as Chagasic cardiomyopathy. One in six people with Chagasic cardiomyopathy will die within five years. 3. An estimated 9 million people are infected in the Western Hemisphere, mostly in impoverished areas. According to the World Health Organization, the largest number of people living with Chagas disease are in poor areas of Argentina, Brazil and Mexico, while Bolivia has the highest percentage of people infected. 4. The infection can be passed from mother to baby. There are an estimated 40,000 pregnant women in North America alone who have Chagas, and they will transmit the infection to their babies around 5 percent of the time. 5. The CDC estimates that 300,000 cases occur in the United States, mostly imported from Latin America. 6. Scientists at the National School of Tropical Medicine at Baylor, including Drs. Kristy Murray and Melissa Nolan Garcia, have uncovered a previously unrecognized level of transmission in the state of Texas. 7. A high percentage of the kissing bugs in Texas are infected with the trypanosome parasite and show evidence of feeding on human blood. 8. Dogs, cats and horses also can be infected. 9. Researchers are finding cases among hunters and campers, as well as people who live in poverty in Texas. Those with extended outdoor exposure appear to have the greatest risk of acquiring the disease. 10. Repeat exposures are likely necessary to acquire infection. 11. Drug treatments are available, but they do not always work and are highly toxic. In collaboration with the Sabin Vaccine Institute and the Texas Children’s Hospital Center for Vaccine Development, the National School of Tropical Medicine is developing a new therapeutic vaccine for Chagas disease. About Dr. Peter Hotez, president of Sabin Vaccine Institute: The US Science Envoy, Dean for the National School of Tropical Medicine, Texas Children’s Hospital Chair in Tropical Pediatrics and President-Sabin Vaccine Institute. With the Center for Disease Control and Prevention naming five neglected parasitic infections as a priority for public health action, Dr. Peter Hotez, dean of the National School of Tropical Medicine at Baylor College of Medicine, said he is excited about the “renewed commitment to control and prevent them. The five infections include Chagas disease, cysticercosis, toxocariasis, toxoplasmosis and trichmoniasis. These diseases disproportionately affect Americans who live in extreme poverty and can cause serious illnesses including heart failure, pregnancy complications, seizures and even death. Dr. Hotez responded to some questions about neglected parasitic infections and what is being done about them. Hotez co-authored the opening editorial in the American Journal of Tropical Medicine and Hygiene, part of a series of articles that coincide with the CDC’s announcement to put focus on these neglected parasitic infections. The National School of Tropical Medicine at Baylor College of Medicine was established in 2011 to address neglected tropical diseases and other infections through education, research and clinical care. Deadly CHAGAS: An Emerging Infectious Disease Threat In U.S. Most people in the U.S. with Chagas disease probably became infected as children, living in Latin America. The infection often has few symptoms early on, but after several decades, strikes fatally, often with sudden death from heart disease. I suspect that, similar to Lyme disease, the magnitude of disease and deaths from the protozoan parasite, Trypanosoma cruzi, which causes Chagas disease, is unrecognized in the U.S.
2014 map of blood donors testing positive for CHAGAS disease. In Latin America, however, up to 12 million people might be infected, with a third going on to develop life-threatening heart complications. Chagas is a major cause of congestive heart failure and cardiac deaths, with an estimated 11,000 people dying annually, according to the WHO. There are an estimated 300,167 people with Trypanosoma cruzi infection the U.S., including 40,000 pregnant women in North America. There are 30,000-45,000 cardiomyopathy cases and 63-315 congenital infections each year. Most of the people come from Mexico, El Salvador, Guatemala, Honduras, or Argentina; Bolivia has the highest rate of Chagas in the world. But in the U.S., we don’t often think of Chagas. Even as an infectious disease physician, I’ve never treated anyone with it, and it is not on my radar. So when a physician sees a patient who may have come to the U.S. as a child, and now has diabetes and hypertension, he or she is likely to attribute the heart disease to that and not look for infection. In fact, though, there are large pockets of undiagnosed disease. 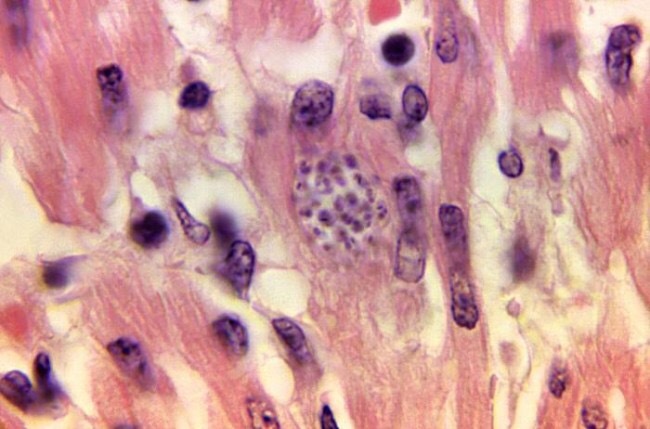 For example, a survey in Los Angeles of patients with a new diagnosis of cardiomyopathy who had lived in Latin America for at least a year, found 19% had Chagas disease, and they had a worse prognosis than those without the infection. There are other reasons Chagas is overlooked. One is that Chagas is not a reportable disease except in four states, and Texas only began reporting in 2010. Most cases here have been detected by screening of blood donations, which has found about 1 in every 27,500 donors to be infected, according to CDC. However, a 2014 survey showed “one in every 6,500 blood donors tested positive for exposure to the parasite that causes Chagas disease.” A map of positive donations is here. While the triatome bugs are most common in the southern half of the U.S., they are actually quite widespread, as shown here. There are pockets of Chagas in the states, including Los Angeles, the Washington metropolitan area, and the Texas border, where there are large immigrant communities from endemic areas. But I suspect that with climate change, we’ll see more Chagas in the southwest U.S., as more triatomine bugs are found further north. One recent study found more than 60% of the collected bugs carried the Trypanosome parasite, up from 40-50% in two similar studies. There are also now seven reports of Chagas infection that are clearly autochthonous, or locally acquired. University of Pennsylvania researcher Michael Levy has shown that bedbugs might be capable of transmitting Chagas, but no one has shown that they actually do. Entomologist and Wired author Gwen Pearson nicely explains why bedbugs are an unlikely vector and notes that you “far more likely to be injured by misusing pesticides to try to exterminate” them. There’s more bad news. Treatment for Chagas is effective if given early in infection, although with significant side effects. There is no effective treatment for late stages of gastrointestinal or cardiac disease. A newly released study showed that benznidazole was no more effective than placebo in reducing cardiac complications, even though it reduced levels of parasites in the blood. The two drugs available to treat Chagas, benznidazole and nifurtimox, are not yet FDA approved and are only available through the CDC under investigational protocols. Both carry significant side effects. Treatment of children with early Chagas is generally effective but, as with many drugs, treatment is hampered by lack of data on pediatric dosing and limited formulations. There is little research funding for new drug development, with less than US $1 million (0.04% of R&D funding dedicated to neglected diseases) focused on new drugs for Chagas disease, according to the Drugs for Neglected Diseases Initiative (DNDi). Where do we go from here? The most immediate and cost-effective proposals are to increase surveillance for disease and screening of high-risk populations. Since the most effective treatment is given early in the course of infection, screening of pregnant women and children is a priority, as is education for these women and Ob-Gyn physicians. While there is no effective treatment for advanced disease, efforts are underway to develop a vaccine against Chagas. The National School of Tropical Medicine at Baylor College of Medicine just received a boost from a $2.6 million grant from the Carlos Slim Foundation for their initiative. Chagas, like sickle cell, highlights disparities in access to screening and early treatment for serious illnesses disproportionately affecting the poor and people of color. While a moral and ethical issue, the choices made to gut public health programs for “cost saving” will also be unnecessarily costly in the end. Deadly Chagas disease in the U.S., affecting people and animals – primarily dogs. Watch out for “kissing bugs”, aka “love bugs”. 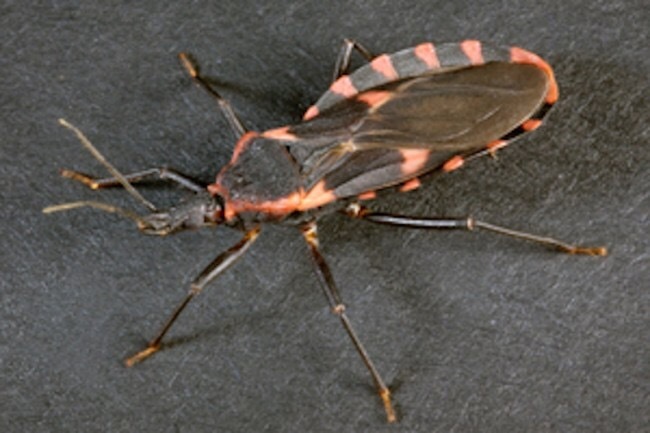 Chagas disease, the parasitic infection caused by Trypanosoma cruzi, is found mainly in Latin America, where it is mostly transmitted to humans by the feces of triatomine bugs, known as “kissing bugs”. However, in several areas of the United States Chagas is ever present, according to Dr. Peter Hotez, founding dean of the National School of Tropical Medicine at Baylor College of Medicine, who told me in 2013 the number of cases of Chagas disease in the United States to be somewhere between 300,000 and 1 million. The United States is ranked 7th among nations for the amount of cases. In Texas, approximately 45% of the collected triatomine bugs have tested positive for T. cruzi, and Chagas is considered an endemic disease in dogs. 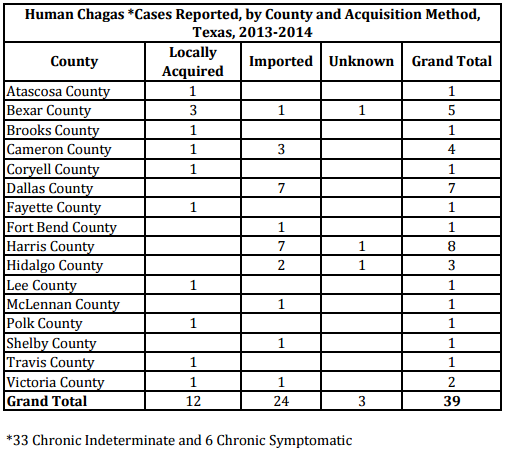 From 2013 to 2014, 351 cases of Chagas disease in animals, primarily dogs, were reported from approximately 20% of Texas counties, representing all geographic regions of the state. Locally-acquired human cases are uncommon, but some have been reported. From 2013 to 2014, 39 human cases of Chagas disease were reported: 24 were acquired in another country, 12 were locally-acquired, and the location of acquisition was unknown for 3. Local transmission means that the kissing bugs in Texas are infected with the parasite, causing it to spread to humans. 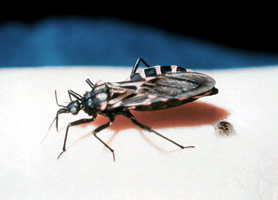 Chagas disease is transmitted naturally in North, Central, and South America. In parts of Mexico and Central and South America, where Chagas disease is considered highly endemic, it is estimated that approximately 8 million people are infected. The Triatoma or “kissing” bug frequently carry for life the parasite, Trypanosoma cruzi. T. cruzi is a comma shaped flagellated parasite and the cause of an acute and chronic disease called Chagas. The triatoma bug can be found in poorly constructed homes, with cracks and crevices in the walls or those with thatch roofs. They can also be found in palm trees and the fronds. Usually at night while sleeping, the insect feeds on people or other mammals. While feeding the insect defecates and the infected feces gets rubbed into the bite wound, eyes abrasions or other skin wounds. The parasite invades macrophages at or near the site of entry. Here they transform, multiply and rupture from the cells 4-5 days later and enter the blood stream and tissue spaces. 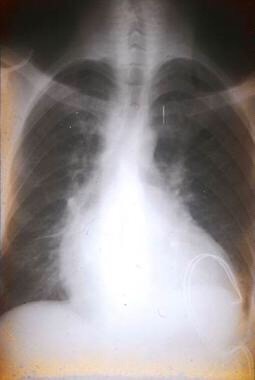 Initial infection with Chagas is typically asymptomatic. Acute disease may manifest symptoms after a couple of weeks. Reddening of the skin (Chagoma) or edema around the eye (Romana’s sign) may be seen, albeit uncommon. Fever, malaise, enlarged liver and spleen are part of the acute syndrome. 10% of people develop acute myocaditis with congestive heart failure. This acute disease can be fatal. After a latent period which may last for years, the infected person may develop chronic disease (20-40%). The most serious consequences are cardiomyopathy (in certain areas it’s the leading cause of death in men less than 45 years of age) and megacolon/megaesophogus. Trypanosoma cruzi can also be transmitted via congenital transmission (mother to baby), through blood transfusions and organ transplants, and some cases of transmission through feces contaminated food. About 150 mammals beside humans may serve as reservoirs of the parasite. Dogs, cats, opossoms and rats are among the animals. Benznidazole and nifurtimox are 100 percent effective in killing the parasite and curing the disease, but only if given soon after infection at the onset of the acute phase, according to the WHO. There is no vaccine for Chaga’s, so preventive measures should include insecticide spraying of infested houses. The cause of Chagas disease is the parasite Trypanosoma cruzi, which is transmitted to humans from a bite from an insect known as the triatomine bug. These insects can become infected by T. cruzi when they ingest blood from an animal already infected with the parasite. This video was produced by Dirceu Esdras Teixeira, Marlene Benchimol, Wanderley de Souza and Paul Crepaldi on August 30, 2012.